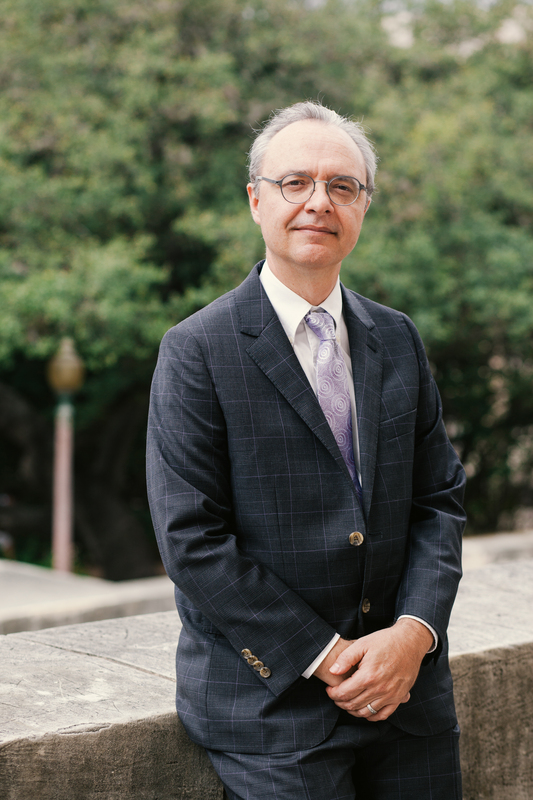 Elliott Antokoletz, Professor of Musicology at the University of Texas at Austin, held the Alice Mackie Scott Tacquard Endowed Centennial Chair and E.W. Doty Professorship in Fine Arts. His books include: The Music of Béla Bartók: A Study of Tonality and Progression in Twentieth-Century Music (Berkeley and Los Angeles, 1984; also in Spanish translation); Béla Bartók, A Guide To Research (Garland, 1988; 2nd ed. rev. 1997; 3rd ed. rev., 2011); Twentieth Century Music (Prentice Hall, 1992; also in Polish and Chinese translation); Musical Symbolism in the Operas of Debussy and Bartók:Trauma, Gender, and the Unfolding of the Unconscious (Oxford, 2004); The Musical Language of the Twentieth Century, The Discovery of a Missing Link; The Music of Georg von Albrecht (Peter Lang Verlag, 2012); and A History of Twentieth-Century Music in a Theoretic-Analytical Context (New York: Routledge, 2014). His co-authoredbooks include: Music and Twentieth-Century Tonality: Harmonic Progression Based on Modality and the Interval Cycles (New York: Routledge, 2012); and Manuel de Falla’s Cuatro Piezas Españolas: Combinations and Transformations of the Spanish Folk Modes (Saarbrücken: VDM Publishing House Ltd., 2009). He is book author/editor of Bartók Perspectives: Man, Composer, and Ethnomusicologist (Oxford, 2000); and Re-Thinking Debussy (Oxford, 2011). He was editor of Georg von Albrecht: From Musical Folklore to Twelve-Tone Technique: Memoirs of a Musician Between East and West (Scarecrow Press, 2004); International Journal of Musicology (Frankfurt, Berlin, Paris, Bern, Wien, New York: Verlag Peter Lang, annual since 1992); and book series Sources and Studies in Music History from Antiquity to the Present (Frankfurt: Verlag Peter Lang, since 2014). He contributed to the New Grove Dictionary of Music and Musicians II. He published more than 75 articles in most of the major music journals and to book compilations such as: The Bartók Companion (Faber, 1993); Sibelius Studies (Cambridge University Press, 2001); Encomium Musicae: Essays in Honor of Robert J. Snow (Pendragon, 2002) on 20th-century composers from Spain; Copland and His Times (Princeton, 2005); and Unmasking Ravel: New Perspectives on the Music (Rochester, 2011). In 1982 he served as scholarly evaluator for the Harry Ransom Center (HRC) at the University of Texas for acquisition of the Stravinsky Archive as well as archival collections of Ravel, Dukas, Roussel, Fauré, and Debussy. The “Elliott Antokoletz Bartókiana Collection” is housed, together with the “Benjamin Suchoff Bartókiana Collection” (Former Trustee of the Béla Bartók Estate and Head of the New York Bartók Archive), at the University of South Florida at Tampa. Antokoletz lectured in Hungary, Germany, Poland, Switzerland, England, Spain, Mexico, Brazil, Australia, and throughout the United States. His honors and awards include: the Béla Bartók Memorial Plaque and Diploma from the Hungarian Government (1981); two subventions from the National Endowment for the Humanities (1980 and 1982); a Teaching Excellence Award from the University of Texas (1981); and the Ph.D. Alumni Award from the City University of New York (1987). In March 2000 he was the Director of the Bartók International Congress and in 2006 the Debussy International Congress at the University of Texas. Antokoletz majored in Violin Performance under Dorothy Delay and Ivan Galamian at the Juilliard School of Music (B.S., 1960-1964), Historical Musicology at Hunter College (M.A. 1970) and Graduate Center of the City University of New York (Ph.D., 1975). From 1973 to 1976, he taught theory and chamber music at Queens College, where he was a member of the Faculty String Quartet, concertmaster of the New Repertory Ensemble of New York and also concertmaster and soloist with the Bronx Symphony. He passed away in December 2017. Charles Carson is a musicologist whose interests are African-American/American expressive cultures, Popular Music, Jazz, Film Music, and music and culture. 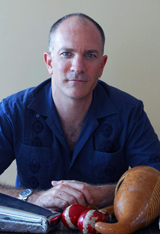 A graduate of the Moores School of Music at the University of Houston, Charles is a former Howard Mayer Brown Fellow for the American Musicological Society. He received his PhD in Music History from the University of Pennsylvania, with a dissertation entitled “Broad and Market: At the Crossroads of Race and Class in Philadelphia Jazz, 1956-1980.” He has presented and published in a number of venues, on topics ranging from theme park music to smooth jazz. 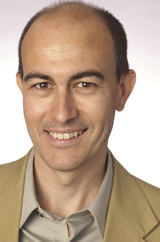 Andrew Dell’Antonio (PhD, University of California at Berkeley, 1991), University Distinguished Teaching Professor and Associate Dean of Undergraduate Studies in the College of Fine Arts, specializes in musical repertories of early modern Europe, with a focus on seventeenth-century Italy. His research and teaching interests include musical historiography, feminist/queer theory, and disability studies. He blogs at The Avid Listener, is co-author of the textbook The Enjoyment of Music and co-editor of the Michigan University Press series Music and Social Justice. Professor Dell’Antonio’s doctoral dissertation on the early sonata was awarded an international prize for musicological scholarship, and a revised version was published by the Libreria Musicale Italiana . He has contributed to the revised New Grove , Grove Dictionary of American Music, Die Musik in Geschichte und Gegenwart musical encyclopedias, and has published articles and reviews in American Music , Cambridge Opera Journal, Notes, repercussions, and Il saggiatore musicale , as well as several collections of essays, most notably in Gender, Sexuality, and Early Music , ed. Todd Borgerding, and Culture and Authority in Baroque Europe ed. Massimo Ciavolella. His most recent monograph, Listening as Spiritual Practice in Early Modern Italy (University of California Press, 2011), addresses musical styles and aesthetics in the early Italian baroque, with particular focus on the spiritual and gender implications of changing listening practices. Earlier publications included investigations of contemporary popular music and the fashioning of a postmodern critical stance, resulting in his editing and contributing to the collection of essays Beyond Structural Listening? Postmodern Modes of Hearing (University of California Press, 2004). 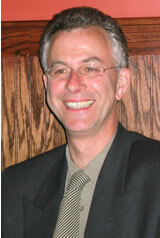 Professor Dell’Antonio was the 2010-2011 William David Blunk Professor at the University of Texas. He was a recipient of the inaugural University of Texas Regents’ Outstanding Teaching Award (2009), and was also selected for the 2010 Award for Distinction in Teaching by Phi Beta Kappa for the Alpha of Texas Chapter and the 2007 College of Fine Arts Distinguished Teaching Award He was one of a small group of faculty members at the University of Texas selected as fellows for the inaugural year of The University of Texas Humanities Institute . During the academic year 2001-02, he was Mellon Fellow at the Harvard-Villa I Tatti Center for Renaissance Studies in Florence, Italy. Veit Erlmann holds the Endowed Chair of Music History. He studied musicology, sociology, anthropology and philosophy in Berlin and Cologne, where he obtained a Dr.phil. in 1978 and did a Habilitation in musicology in 1989 and in anthropology in 1994. He has done fieldwork in Ecuador and in several African countries such as Cameroon, Niger, Ghana, South Africa and Lesotho. He also writes on sound, law and the history of science. Dr. Erlmann has been on the faculties of the University of Natal, the University of Chicago, the University of the Witwatersrand in Johannesburg, and the Free University of Berlin. In adddition, he also taught at Humboldt University in Berlin and the University of Cape Town. He has published seven books, numerous articles, and three CDs one of which was nominated for a Grammy Award. A new book titled Lion’s Share. Remaking South African Copyright is forthcoming from Duke University Press. Professor Erlmann is also the recipient of several prestigious awards and fellowships, including the Alan P.Merriam Prize for the best English-language monograph in ethnomusicology, the Heisenberg Fellowship and the Meractor Prize given by the German Research Foundation, and a Fulbright Scholar Award. Since 2015 he has served as editor of the journal Sound Studies. An Interdisciplinary Journal. For more information see Professor Erlmann’s Web Page. David Hunter (Ph.D., University of Illinois at Urbana-Champaign, 1989) is Fine Arts Library Coordinator, Music Librarian, and Curator of the Historical Music Recordings Collection. While Dr. Hunter’s duties at the Fine Arts Library currently preclude a regular teaching assignment he has in the past taught the Reference and Research Materials class and a freshman seminar on George Frideric Handel. He continues to serve on Ph.D. and D.M.A committees. 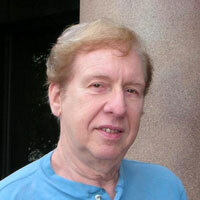 Dr. Hunter has published articles in numerous musicology and historical journals since 1985. His book, Opera and song books published in England, 1703-1726: a descriptive bibliography was published by the Bibliographical Society (London) in 1997. He has also contributed to the major music encyclopedic dictionaries Grove Music Online and Die Musik in Geschichte und Gegenwart. He edited the volume Music Publishing and Collecting: Essays in Honor of Donald W. Krummel issued in 1994. He has been the Book Review Editor of Notes and has served on the Editorial Board of Libraries & the Cultural Record (published by the University of Texas Press). Since 1996 Dr. Hunter has been assessing the validity of Handel biographies, testing numerous claims and assumptions. His conclusions were published in 2015 as The Lives of George Frideric Handel. The historical audience is possibly the last frontier of research in musicology. The facile assumptions and comments to be found in the literature can be superseded and a new history of music written “as if audiences mattered.” To demonstrate the possibilities Dr. Hunter is exploring the entertainment choices of persons who could have attended Handel’s performances during his years in England and Ireland (1711-1759). This long-term research project involves examining archives held at more than 100 sites in the U.K., Ireland, and the U.S.A. The use of the profits of slavery to fund musical activity is another research project, one sparked by discovery that during 1720 Handel invested in the Royal African Company. Hannah Lewis specializes in music for film and visual media, early twentieth-century French music, American avant-garde and experimental music, and musical theater. Her book, French Musical Culture and the Coming of Sound Cinema, was published in 2018 as part of the Oxford University Press Music and Media series. Her work has also appeared in the Journal of the American Musicological Society, Journal of the Society for American Music, Journal of Musicological Research, Musical Quarterly, and The Cambridge Companion to Film Music, and she was the 2014 recipient of the Society for American Music’s Mark Tucker Award. She is currently editing a volume with Jim Buhler, titled Voicing the Cinema: Film Music and the Integrated Soundtrack, and working on a second book, Rodgers and Hammerstein on Screen. She received her PhD in Historical Musicology from Harvard University in 2014, and she taught at Tufts University before joining the faculty at UT. Alison Maggart’s research focuses on twentieth-century music and culture in the United States. She is particularly interested in serial aesthetics, musical borrowing, and identity. She received her PhD in 2017 from the University of Southern California, where she was named the Outstanding Doctoral Student of the Thornton School of Music for her work on Milton Babbitt’s aesthetics and reception. 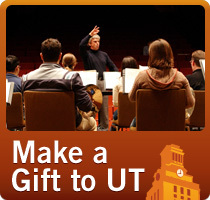 Before coming to UT, she taught at The Colburn School, California State University Northridge, Mount Saint Mary’s University, and KM Music Conservatory in India, where she also orchestrated Bollywood film scores. Outside of academia, she has worked as the archival musicologist for the Piatigorsky Archives and research-musicologist for the Los Angeles Philharmonic’s “Inside the Music” concert series. She continues to write program notes for the Sacramento Philharmonic & Opera. She has presented her work at the American Musicological Society’s national and regional meetings (receiving the Ingolf Dahl Award in 2016), European Music Analysis Conference, and others. She is published in Current Musicology and has an article forthcoming in Contemporary Music Review. She is currently writing a book on Milton Babbitt and beginning research on the use of “sound baths” in meditation. 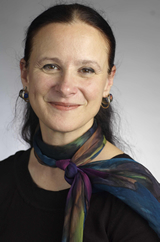 Robin Moore (PhD, The University of Texas at Austin, 1995), Professor of Ethnomusicology, has received awards including fellowships from the ACLS, the Rockfeller Foundation, the MacArthur Foundation, and the National Humanities Center. 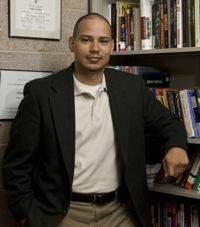 His research interests include music and race, music curriculum reform, and music of Cuba and Latin America more generally. Dr. Moore’s book publications include Nationalizing Blackness: afrocubanismo and artistic revolution in Havana, 1920-1940 (University of Pittsburgh Press, 1998), Music and Revolution Cultural Change in Socialist Cuba (The University of California Press, 2006), Music in the Hispanic Caribbean (Oxford University Press, 2010), Musics of Latin America (W.W. Norton, 2012), Danzón: Circum-Caribbean Dialogues in Music and Dance (Oxford University Press, co-authored with Alejandro Madrid, 2013), College Music Curricula for a New Century (Oxford Press, 2017), and Fernando Ortiz on Music (Temple University Press, 2018). His recent awards include the Robert Stevenson Award from the American Musicological Society the Bela Bartok Award for outstanding ethnomusicology publication from ASCAP, both from 2013. Since 2005, he has served as editor of the Latin American Music Review. Luisa Nardini is a medievalist with special interests in the later development of chant repertories in Western Europe. Her works on Gregorian chant, medieval music theory, music and visual art, manuscript studies, and oral and written transmission of liturgical chant had been presented at scholarly forums in North America and Europe. She has published essays and reviews in Acta Musicologica, Mediaeval Studies, Speculum, Plainsong and Medieval Music, Rivista Italiana di Musicologia, Nuova Rivista Musicale Italiana, Cantus Planus, and in miscellaneous volumes. Her forthcoming book, Neo-Gregorian Chant in Beneventan Manuscripts: The Proper of the Mass, will be published with the Pontifical Institute of Mediaeval Studies—The University of Toronto Press. It focuses on an extended repertory of liturgical music that circulated in southern Italy after the diffusion of Gregorian chant (8th-9th cent.). This repertory reflects the multi-cultural context of southern Italy in the Middle Ages and sheds new light on some of the most controversial problems related to the earliest history of western music and the interrelationships between Roman, Gallican, Byzantine, and Beneventan chants. She is presently working on a second book on the prosulas copied in Beneventan manuscripts for the Proper of the Mass. Before coming to UT, Luisa Nardini served on the faculty of the University of California Santa Barbara as a lecturer in musicology. The first musicologist to be awarded an A.W. Mellon postdoctoral fellowship at the Pontifical Institute of Mediaeval Studies in Toronto, she has been an Associate Research Scholar at the Italian Academy for Advanced Studies in America at Columbia University and the recipient of research grants from the Universities of Naples, Rome, Italy, the University of California Santa Barbara, and The University of Texas, Austin. She serves as an honorary faculty member of the doctorate in musicology at the University of Rome “Tor Vergata” and is regularly invited as a lecturer at the school of specialization on the Ars Nova in Certaldo, Italy. In 2012 she was awarded the “Gladiatore d’Oro,” the highest honorific prize of the Province of Benevento (Italy) for “having contributed with her sophisticated, extraordinary, and passionate studies to the development of the scholarship in the field of medieval music and chant” and holds a Grace Hill Milam Centennial Fellowship in Fine Arts for 2012-2013. “The St Peter Connection and the Acquisition of a Roman Offertory in Bologna and Benevento,” Mediaeval Studies 72 (2010): 39-74.“Old-Roman Intruders in non-Roman Manuscripts,” Acta Musicologica 82 (2010): 1-20.“Aliens in Disguise: Byzantine and Gallican Chants in the Latin Liturgy,” Plainsong and Medieval Music 16 (2007): 145-172.“Il repertorio neo-gregoriano nei manoscritti di area beneventana,” Il Saggiatore Musicale 6 (1999): 377-378.“Notizie sugli strumenti da tasto all’inizio del ‘700 a Napoli,” Quaderni dell’Archivio Storico del Banco di Napoli 2 (1998): 69-77, co-authored with Guido Olivieri. “Una prosula per san Nicola in un codice della Biblioteca Capitolare di Benevento,” Nicolaus. Studi storici 8 (1997): 481-488. “Il canto gregoriano: una tradizione millenaria,” Worldmusic 25.7 (1997): 17-20. “Transmissions of Repertories/Contamination of Styles: The Case of Liturgical Music in Souther Italy (9th – 13th cent. ),” featured on the Website of the Italian Academy for Advanced Studies in America at Columbia Universitywww.italianacademy.columbia.edu/publications/working_papers/2004_2005/paper_fa04_Nardini.pdf Book chapters: “The Circulation of Gregorian Chant and the Cult of St Michael in Medieval Southern Italy,” in The Oxford Handbook of Music and World Christianities, eds. Suzel Reily and Jonathan Dueck (Oxford: Oxford University Press, forthcoming). “Riconsiderando i manoscritti musicali della Biblioteca Nazionale di Napoli. Il caso dell’Innario VI G 29,” in Proceedings of the Conference of the International Association of Music Libraries (IAML), Naples, Italy, July 2008, Lucca, (LIM, Libreria Musicale Italiana, forthcoming). “Idee per un progetto di edizione delle prosule del Proprium Missae,” submitted for the Proceedings of the Conference for the centennial anniversary of the Pontificio Istituto di Musica Sacra, Rome, May-June 2011, ed. Francesco Luisi. “In the Quest of Gallican Remnants in Gregorian Manuscripts,” submitted for the collection Music and Censorship, ed. Patricia Hall (Oxford: Oxford University Press, forthcoming). “The Masses for the Holy Cross in Some Medieval Manuscripts,” in “Qui musicam in se habet”: Essays in Honor of Alejandro Planchart, eds. Stanley Boorman and Anna Zayaruznaya (American Institute of Musicology, likely date of publication 2012), submitted, refereed. “La messa Vir Dei Benedictus nei manoscritti liturgici beneventani e non beneventani,” in Proceedings of the International Symposium “Musica e liturgia a Montecassino nel Medioevo,” University of Cassino, Italy, December 2010, ed. Nicola Tangari (Rome, La Viella, “Scritture e libri del Medioevo”, 2012), 115-131. “The Mass for the Octave of the Epiphany in some Beneventan Manuscripts,” in Classica et Beneventana. Essays Presented to Virginia Brown on the Occasion of her 65th Birthday, eds. F.T. Coulson et A.A. Grotans (Brepols: Turnhout, 2008), 391-405. “Montecassino, Archivio della Badia, ms 318: Observations on the Second Tonary Mass Repertory,” in “…Et facciam dolçi canti.” Studi in onore di Agostino Ziino in occasione del suo 65 compleanno, eds. Bianca Maria Antolini, Teresa Maria Gialdroni, and Annunziato Pugliese (Lucca: LIM, 2004), 47-61. “Liturgy as Historiography: Historical, Narrative, and Evocative Values of Eleventh-Century Masses,” in Early Music: Context and Ideas II: Proceedings of he International Conference in Musicology (Krakow, Poland: Jagellonian University—Institute of Musicology, 2008), 27-38. Available on the Jagellonian University website:www.muzykologia.uj.edu.pl/conference/PDF/12Nardini.pdf. “Non-standard Introits in Beneventan Manuscripts: Compositional Strategies and Transmission in the Sources,” inCantus Planus. Papers Read at the Twelfth Meeting Lillafüred, 23-28 August 2004 (Budapest: Hungarian Academy of Sciences, Institute for Musicology, 2007), 345-369. Olivieri’s research has focused on the developments of the string repertory in Europe, looked at aspects of musical patronage, performance practice and reconstructed the artistic and circulation of music and musicians and cultural relationship in 18th-century Europe. He has presented papers at several international conferences (AMS, IMS, SECM, Biennial International Conference on Baroque Music, Italian Musicological Society), and published articles in scholarly journals (Basler Jahrbuch für Historische Musikpraxis, Analecta Musicologica, Notes, Studi Musicali, Pergolesi Studies) and collective volumes (Performance Practice: Issues and Approaches, Steglein 2009; Sleuthing the Muse: Essays in Honor of William F. Prizer, Pendragon 2012). He has also contributed new entries to The New Grove Dictionary of Music, Die Musik in Geschichte und Gegenwart, and the Dizionario Biografico degli Italiani.A Research Fellow at the University of Liverpool (UK) and at The Italian Academy for Advanced Studies in America at Columbia University, Dr. Olivieri was awarded a Mellon Postdoctoral Fellowship at the University of Michigan, where he also was a Visiting Assistant Professor. He is also the recipient of The Walter and Gina Ducloux Fine Arts Faculty Fellow Endowment (2015) and the Services for Students with Disabilities Appreciation Award (Spring 2016). Among his most recent publications is the volume Arcomelo 2013. Studi in occasione del terzo centenario della nascita di Arcangelo Corelli (Lucca, Libreria Musicale Italiana, 2015), and the critical and facsimile edition of A. Corelli’s Sonate da camera di Assisi (Lucca, Libreria Musicale Italiana, 2015). Dr. Olivieri’s recent projects include a study on 18th-century teaching at the Neapolitan Conservatories, and the critical edition of D. Cimarosa’s Il matrimonio segreto for Bärenreiter, in collaboration with the University of Vienna. Dr. Seeman’s interests focus on the music of modern Turkey, the Ottoman Empire, and Southeastern Europe, specializing in Rom (“Gypsy”) communities. She has done field research in Macedonia and Southeastern Europe (1985-87; 1989) and in Turkey (1995-1999; 2003) on Rom, Turkish, and transnational musical practices. 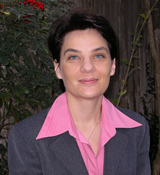 She received her Phd from UCLA in 2002. 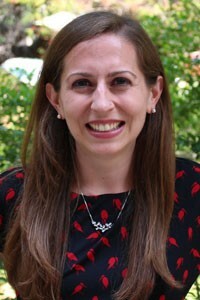 Her dissertation,“‘You’re Roman!’ Music and Identity in Turkish Roman Communities,” investigates the relationship between cultural practices and Rom social identity by exploring the tension between music as lived experience and as socially and politically constructed from the Byzantine and Ottoman periods through the present. She taught at UCSB for 4 years on a post-doctoral faculty fellowship and as a lecturer. Courses taught at UCSB and UCLA include: the music of Turkey, Ottoman communities, Roma communities, and Southeastern Europe, as well as seminars on ethnomusicological theory, world popular music, and the anthropology of music. Her theoretical interests include: transnationalism and cosmopolitanism; minority communities; recording industry; post-structuralism; phenomenological hermeneutics. 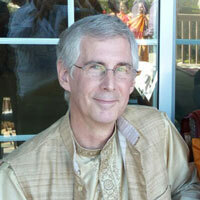 Seeman has articles in Middle East Studies Association Bulletin, Ethnomusicology Forum, and Music and Anthropology. She has also written several sets of liner notes, and co-produced an ethnographic recording with clarinetist Selim Sesler, “Roads to Kesan”, released by Kalan Muzik. Her recent research interests explore emergent Turkish cultural expressions and ongoing configuration of ethnic and gendered identities in the wake of the European Union accession processes. 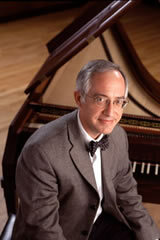 Michael C. Tusa (PhD Princeton University, 1983), Professor, has been a member of the Musicology faculty since 1981. His interests include nineteenth-century opera, the music of Beethoven, the compositional process, and piano music. His publications include a monograph, “Euryanthe” and Carl Maria von Weber’s Dramaturgy of German Opera(1991) and a volume in the Ashgate Library of Essays in Opera Studies, National Traditions in Nineteenth-Century Opera II: Central and Eastern Europe (2010). His essays have appeared in 19th-Century Music, Archiv für Musikwissenschaft, The Music Review, Journal of the American Musicological Society, Beethoven Forum, Journal of the American Liszt Society, Journal of Musicology, International Journal of Musicology, Journal of Interdisciplinary History, Cambridge Opera Journal and Bonner Beethoven-Studien. He wrote the entry on Weber in the New Grove Dictionary of Music and Musicians (revised edition) and has contributed essays to theCambridge Companion to Beethoven, the Cambridge Opera Handbook Ludwig van Beethoven. “Fidelio,” and Nineteenth-Century Piano Music. He has twice received teaching awards from the Butler School of Music and was the recipient of the College of Fine Arts Distinguished Teaching Award for 2013-14. He has served as Acting Director and Associate Director of the Butler School of Music; he is currently Secretary of the American Musicological Society.